Caruana Galizia was killed in a car bomb on October 16. 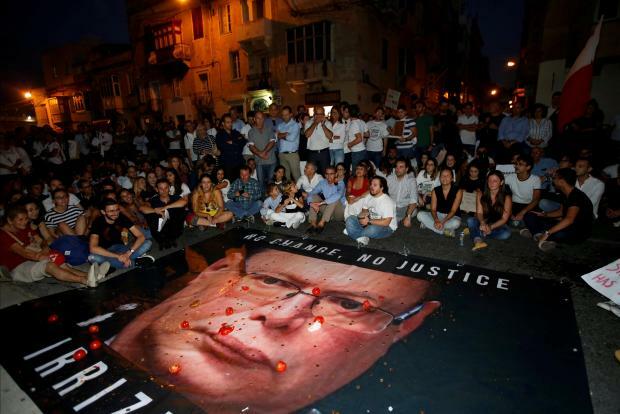 The EU executive called on Malta to find the "barbarous" assassins of a journalist being buried on Friday and resolve "potential structural problems" with the rule of law on the island. 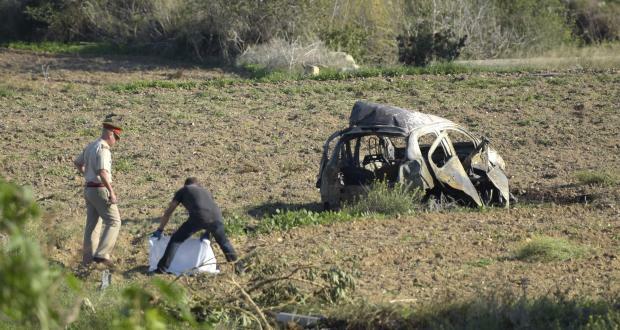 Daphne Caruana Galizia was killed on October 16 when a powerful bomb blew up her car, in a case that stunned the small Mediterranean island. Reflecting concern in Europe over possible systemic failings in Maltese democracy, European Commission First Vice President Frans Timmermans called on the EU's smallest state to leave "no stone unturned" in hunting the killers of investigative blogger Daphne Caruana Galizia, who died in a car bombing last month. "The eyes of Europe are on the Maltese authorities," wrote Timmermans, a former Dutch foreign minister who as Jean-Claude Juncker's deputy oversees the Brussels executive's efforts to ensure member states respect democratic and judicial standards. "If journalists are silenced, so is democracy," he said in a reply, seen by Reuters, to a letter from European media editors urging the EU to ensure justice for Caruana Galizia. "We want those directly and indirectly responsible for this horrible murder to be brought to justice. And we want the investigations to run their full course, so that any other related wrongdoings that may emerge can also be prosecuted and potential structural problems be resolved," he added. Caruana Galizia was a controversial figure who accused many of the most senior figures in both government and opposition of corruption and involvement in international money-laundering. "We insist that the Maltese authorities leave no stone unturned to make sure that this atrocious, barbarous assassination does not lead to the situation that the perpetrators apparently want to achieve: that no-one dares ask pertinent questions and no journalist dares investigate the powers that be," he added. "This will not happen in Europe. Not on this Commission's watch." The Commission said in a separate statement that Juncker condemned such attacks in the strongest possible terms. "The right of a journalist to investigate, ask uncomfortable questions and report effectively, is at the heart of our values and needs to be guaranteed at all times," the statement said. Prime Minister Joseph Muscat, who is himself suing Caruana Galizia's son for libel over allegations of corruption, says everything will be done to find her killers. Protestors demanding the resignation of the police commissioner. His government has offered a one million-euro reward and protection for anyone providing information to identify them. The Commission has limited powers to intervene directly in member states. It has applied largely moral pressure on Hungary and Poland to reverse proposed laws that it sees as breaching EU treaties by curbing judicial, media or other freedoms. It has warned that it could seek to suspend Poland, but this would require support from all member states - something the Commission sees as difficult to obtain. The Commission does have powers to fine states for breaches of EU legislation. European Parliament President Antonio Tajani said in a statement he would attend the funeral in Malta at the invitation of Caruana Galizia's family.